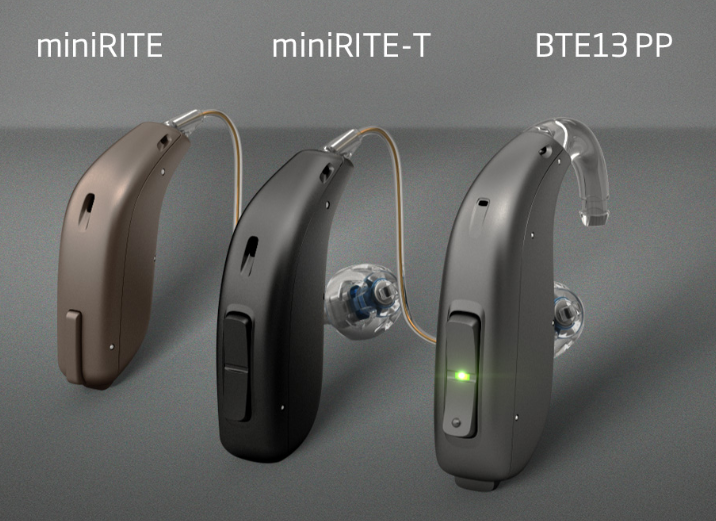 The mini RITE Opn hearing aids can be rechargeable, saving you money as well as time spent fumbling with tiny batteries. This is just the start of the myriad features Opn includes to help people with hearing loss. While not all of the Opn hearing aids can connect to devices like smartphones, TVs, computers, music players and remote microphone accessories, the ITC hearing aids from Oticon Opn can. This is an incredible feature that more and more of our patients are requesting. The drawback to this hearing aid is that they are visible. If you prefer a completely invisible hearing aid, the IIC and CIC hearing aids from Opn are a great option. But because they are so small, they cannot house the technology needed for MFI capabilities. However, the ITC Opn hearing aid is still incredibly small and only slightly visible. By making an exception for a slightly visible hearing aid, you can directly tune your hearing to better listen to phone calls, television shows, and more. Another reason we’ve been so impressed by Opn at Hearing Associates of Las Vegas is these hearing aids are designed to deliver a rich and meaningful soundscape to people with hearing loss. Opn hearing aids use a BrainHearing approach, emulating the way the brain naturally processes sound whether you’re in a quiet study or a noisy banquet hall. They have a 360-degree sound radius and provide for the localization of sounds, so you know exactly where to focus in an open environment. TwinLink Technology, which provides superior listening performance with high connectivity (2.4 Ghz) but low power usage. Spatial Sound LX, which assures binaural data is transmitted instantly from one ear to the other. OpenSound Navigator, which helps you keep up in a venue with multiple speakers and noise sources. The navigator instantly analyzes and balances sounds you need to hear while reducing diffuse background noise that can serve as a distraction. The US Centers For Disease Control estimate that some 50 million Americans are living with some form of tinnitus, a persistent phantom sound in the ears that can cause real distress. Fortunately, Tinnitus SoundSupport technology is now integrated into all Oticon Opn hearing aids. With this sound generator technology, you can stream dynamic and soothing sounds into your hearing aids. Choices range from natural, ocean-like sounds to broadband sounds like white, pink and red noise. The broadband sounds can be further adjusted using four modulation options. You can conveniently and discreetly adjust your Tinnitus SoundSupport as needed, using your iPhone or Android. Oticon has taken full advantage of advances in nanotechnology, giving Opn hearing aids some remarkable features. All Opn hearing aids are Bluetooth-enabled, allowing you to sync with smart devices. You can download the free Oticon ON app for your iPhone or Android to discreetly adjust your hearing aid volume or switch programs. You can also use Oticon ON to check the battery levels on your hearing aids or use the “find my hearing aid” search function. There are a number of accessories that can help you further amp up the capabilities of your Opn hearing aids, such as ConnectClip. ConnectClip is a device that can turn your Opn hearing aids into a wireless stereo headset, allowing you to stream music, tinnitus-soothing noise, audio books or podcasts from any smartphone, laptop or tablet. Additionally, ConnectClip lets you use your hearing aids to make hands-free phone calls using your smartphone. You can also make calls using video chat services like Skype and Facetime, with your Opn hearing aids serving as earphones and the ConnectClip acting as your microphone. ConnectClip’s ireless microphone can also help you hear better in the most challenging of situations. Just hand it to a speaker in a large lecture hall or to a friend in a restaurant echoing with conversations and clattering silverware. You’ll better perceive the words you want to hear as opposed to a noisy soup of ambient sound. Our hearing instrument specialist can help you determine if Oticon’s Opn hearing aids are right for you. Contact us today to make an appointment.